They say great things come in small packages. That’s exactly what can be said of the Renault Kwid which was launched last year and has already become fairly popular among those hunting for an entry-level car. The French carmaker is now back with a more powerful and better version of the car. 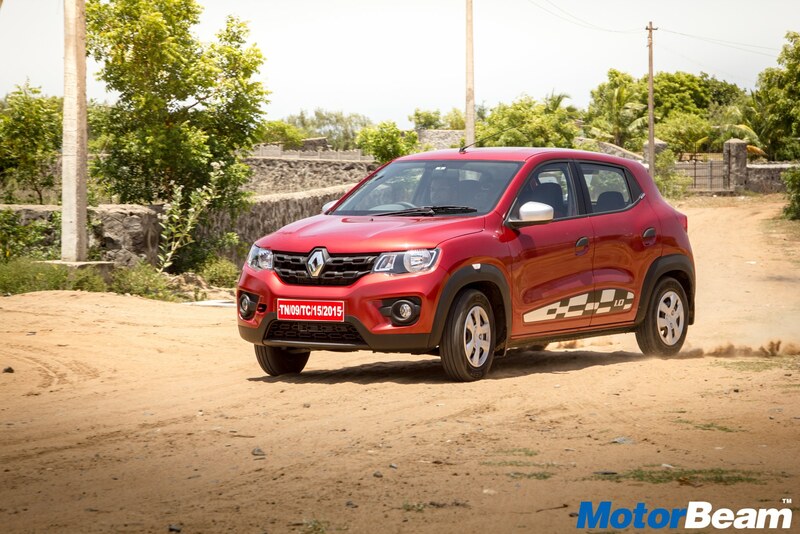 The Renault Kwid 1.0 L seemingly packs more punch than just a bigger engine. So how does the car fare among its peers? 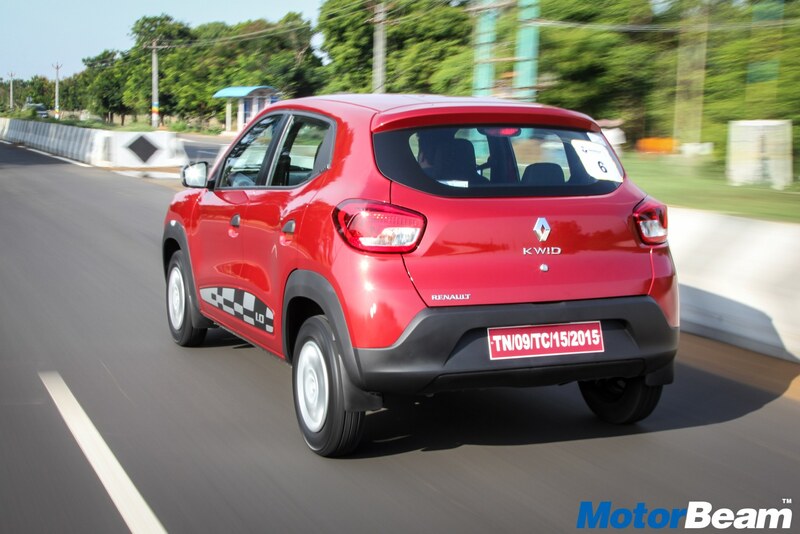 Here’s our detailed Renault Kwid review. The Kwid 1.0 is based on the same platform as the 800cc version and features an identical set of body panels. There are a couple of changes on the outside compared to the earlier model. These are also the first things you will notice on the car. One is the silver-grey gloss OVRM caps and the other is the full-sized speed-sport designer graphics on both the lower sides. The car is expected to have the “1.0” badge on its hatch door. The only mention of the one litre engine, however, is on the side decals. It enhances the road presence of the Renault Kwid 1 Litre and offers a hint to passersby who are likely to wonder how the small car zips so fast. The Kwid 1.0 gets a brand new SCe engine. It has three cylinders and 12 valves. The actual displacement of the engine is 999cc. The Renault Kwid 1 Litre goes on to produce 68PS of maximum power at 5,500rpm, and peak torque of 91Nm at 4,250rpm. It comes as a bonus of 19Nm and 14PS over the 800cc Renault Kwid. With a bigger engine, the top speed in every gear and the difference in acceleration can be felt naturally. The Kwid 1.0 is available in two trims. While the RxT 1.0 version is priced at ₹3.82 lakhs, the RxT (O) 1.0 is priced higher at ₹3.95 lakhs. The new Renault Kwid price is ex-showroom New Delhi. The Renault Kwid 1 Litre, like its predecessor, has a fair humming sound inside the cabin. But that’s not an issue at all because the experience of riding the new Renault is highly satisfying if you consider its pricing. The suspension too is decent and doesn’t pass any loud thud from the mostly undulating Indian roads, nor are there any sudden jumps when you hit a bumper. Even on unmetalled roads, the Kwid 1.0 offers a surprisingly smoother ride than you expect. The car has one of the best in class ground clearance of 180mm which adds to a peaceful drive. Handling of the new Kwid is impressive. 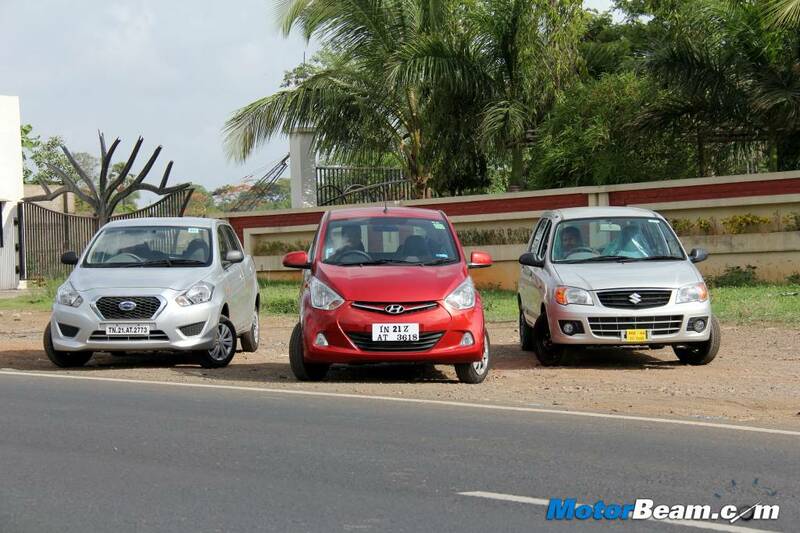 It’s an extremely stable car and inspires confidence while notching up three-digit speeds. Like its 800cc version, the Kwid 1.0 L is perfect for negotiating the chaotic Indian traffic, with a decent turning radius. The car handles well during regular city commute. The electronic power steering is sufficiently light at lower speeds and weighs nicely at higher speeds. The braking system of the Kwid 1.0 has adequate bite. You can stop the car at a decent distance. For a commuter car, the Kwid’s brakes are rather adequate. There are obviously no major changes in the dimensions of the Renault Kwid 1 Litre compared to its 800cc avatar, other than the visible ones we mentioned at the beginning. The Kwid 1.0 retains the overall length of 3,679mm, 1,579mm of width, and 1,478mm of height. The wheelbase is at 2,422mm and the boot volume is a generous 300 litres. The kerb weight of the car is unexpectedly higher at around 680kg, courtesy the bigger engine. The vehicle is available in Ice Cool White, Outback Bronze, Planet Grey, Fiery Red, and Moonlight Silver colours. Stepping inside the new Kwid 1.0, you will get the unmistakable feeling of not driving the usual Kwid, because of the car’s throttle. You are likely to experience an enormous boost in performance compared to the older Kwid. Other than this, you may not be able to distinguish the two cars, if you didn’t notice the cosmetic changes in the exterior. 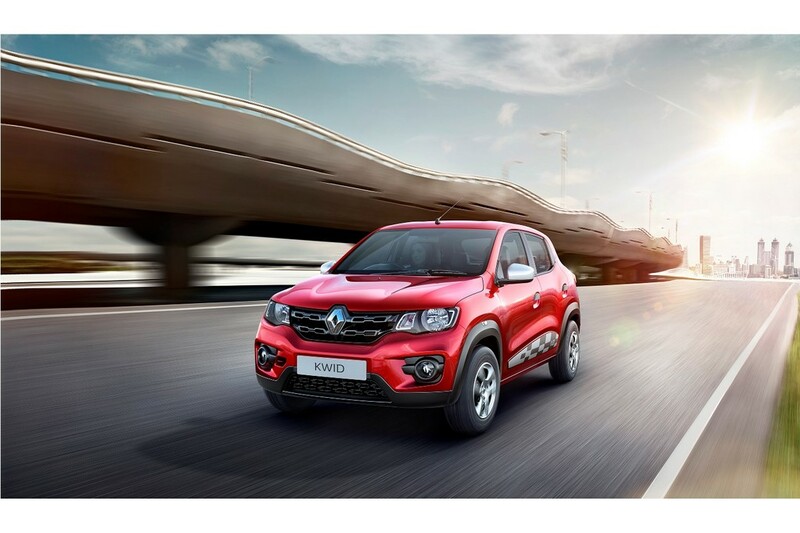 In other words, the cabins of the Renault Kwid 1 Litre and the RXT variant of the earlier car, are similar. The new Kwid 1.0 has features like the fully digital instrument cluster with chrome contour, dual-tone dashboard, steering wheel with piano black trim, centre console with chrome surrounds, integrated headrests on large front seats, front power windows, rear parcel tray, Champion Red upholstery, upper and lower glove compartments, cabin lighting with fadeout and timer, and an onboard trip computer. The entertainment system has a touchscreen panel, Bluetooth connectivity, two front speakers, and a roof mic. The safety features of the new Renault Kwid 1 Litre include dual airbags, ABS, and five seatbelts. It has “high safety Pro-Sense front seatbelt” as claimed by the manufacturer, besides the crumple zones that offer adequate buffer in case of a crash. The car has central locking. Not only segment leader Maruti Suzuki Alto K10, the Kwid 1.0 L will be up against the Hyundai Eon and the recently launched Datsun Redi GO. Renault has cleverly priced the new Kwid between the Alto K10 and Eon. Those not wanting the superlight Alto are likely to settle for the sturdier Kwid, which almost resembles a sub-compact SUV when looked diagonally from the sides. It’s also far more stable and has the potential to outperform the other two in the long run. The new baby from Renault’s stable is surely a model that deserves to be considered, not only while choosing between the two versions, but also when zeroing in on a car in the ₹3-4 lakhs segment. The Renault Kwid 1.0 L is a nice package, given the generous space, catchy looks, good features, a massive boot and enough power. To the discerning buyer, the Kwid 1.0 is a great value for money vehicle.